Byron King, ’97 BFA in Studio Art, has developed his own on-line university, Globatron University. Globatron University is a challenge and . . . a mental exercise. The challenge for you is to review the different levels of Globatron intellectual awareness you currently possess. Globatron is always striving to help intellectual discourse and dialogue about the arts, culture and society in general. An issue that always comes up is what values do we hold dear? What do we believe in? What do you believe in? 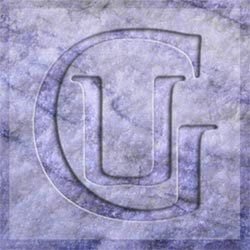 With Globatron University (GU) we are able to define that and categorize different levels of intellectual achievement. The goal of Globatron has always been educational, if only as a secondary aspect of its engagement, so we have decided to define what we feel those educational standards should be.